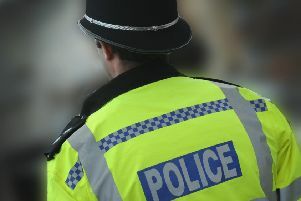 Police have repeated a call for information concerning thefts or attempted thefts of motorbikes and mopeds in Hastings and St Leonards. Anyone who sees anything suspicious, who recovers their stolen property or who may have mobile phone images, dash-cam or CCTV footage regarding such crimes is urged to contact police immediately. Sergeant Jo Seabridge, of the Hastings and Rother prevention team, said: “It’s vital that we are told as soon as possible in order to give us the best chance of intervening. Any information can be reported online or by phoning 101, quoting Operation Jump. If a crime is in progress or appears imminent, dial 999 and ask for police. Alternatively, details can be passed anonymously to the independent charity Crimestoppers via its website or by calling 0800 555 111. Advice on securing motorcycles can be found here.